Longer, wider, lower, lighter, more powerful and restyled for 2015, Audi's lovely sport sleeper known as the TT grows in appeal as well as wheelbase. Aiming for greater economy and overall practicality, Audi may release a front-wheel-drive TT in perhaps both coupe and convertible forms in the coming years, but that news is not anywhere near as solid as the TT's performance. It may not be a “true” sports car, but for thrill-seeking daily drivers, it still is a dream come true. The Roadster will likely still use a multi-layer powered soft top, and handling shouldn't noticeably change across the Quattro editions, but everything else is getting an overhaul. Of course a wider, lower and longer stance is going to cause some shift in the body's style and handling, however spy shots indicate that change is extremely slight. That theme carries through the rest of the 2015 TT with a little bump in horsepower here and a little more technology there, and just an incremental touch-up all over everything else. That iconic flat beltline and rounded wheel wells aren't going to change, but interior style is revamped for a simplified yet emboldened command center. The convertible's 2-seat and coupe's 2+2 setup also carry over, but there might be just a touch more usability in those rear seats with this year's growth spurt—no promises, though. Interior space is about the only thing not reportedly seeing any real functional change, even though the award-winning MMI telematics system finally makes its way into the TT a full 3 years since its A3 debut. Speaking of change, the proposed engine is 9 hp stronger on paper (for a total of 220 hp) but could significantly outperform the outgoing 2-liter turbo given the 2015's lightened load. It could also be the same exact engine with updated figures (details and press releases are not Audi's strong point), but you can rely on no more than 6 seconds to 60 mph. Performance always mattered more than words anyway. For instance, other makers might say they offer a sporting sedan with excellent grip, but TT drivers know better. There's just no substitute for world-class handling coupled with the Quattro all-wheel drivetrain—every single driver agrees on that point year after year. With the addition of MMI for 2015, every stated driver wish is now fulfilled, leaving no gaps except perhaps the widening one between the TT and its less sensibly fashionable competition. As such, the 2015 Audi TT is expected to keep the 6-speed dual-clutch automated manual transmission for something like its previous 22 mpg city/31 highway, if not just a bit improved, especially with the rumored addition of a 6-speed automatic. Standard features are also expected to still include comforts like automatic xenon headlights, heated mirrors, automatic climate control and a Bose Surround Sound audio system, and the S Line Competition option package should also remain unchanged. 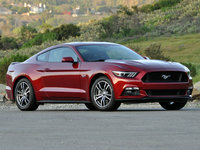 Other options may get shuffled with the addition of that infotainment system. 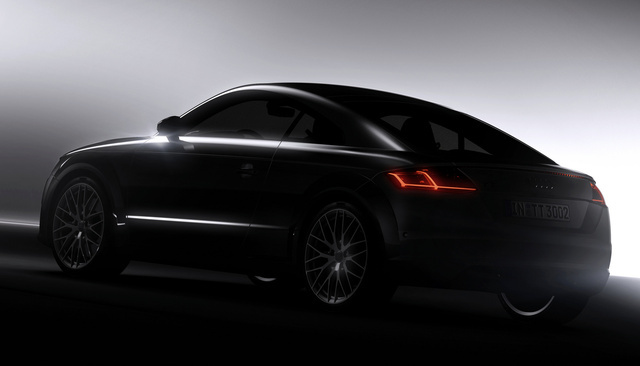 What's your take on the 2015 Audi TT? 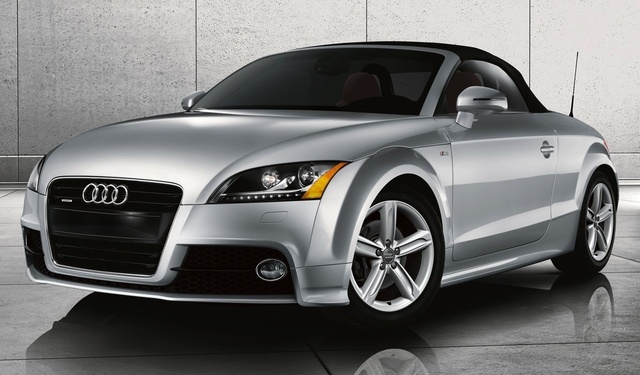 Have you driven a 2015 Audi TT? How Much Will My Car Insurance Go Up When I Buy A Convertible At Age 21?